Want to know how high-speed streaming works? 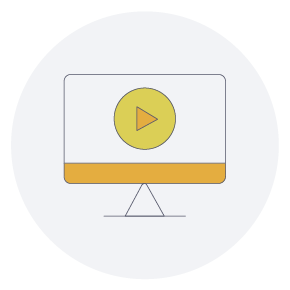 If you have a Professional or Enterprise subscription, take advantage of the latest streaming technology built into VNC® Connect, for a remote access experience that's more responsive—and therefore easy to use—than ever before. We believe we've created the best performing remote access experience ever. Don't take our word for it though; benchmark VNC® Connect for yourself! We've changed the way VNC® Connect works under the hood, so the remote computer screen is streamed continuously. This means your local screen is refreshed much more often, especially for graphically-intensive content over slower networks, greatly improving your ability to interact in real-time. At the same time, we've extended our patent-protected compression algorithms to ensure the increase in screen refresh rate doesn't come at the expense of picture quality. Who benefits from high-speed streaming, and when? Eventually, everyone with a valid Professional or Enterprise subscription. There's a staged rollout, so in the first release you'll need to connect from VNC Viewer running on Windows, Linux, Mac or Android. iOS support is coming soon. In addition, the small percentage of cloud connections relayed via our cloud service won't benefit just yet. We aim to have everyone up to speed by Q2 2019. 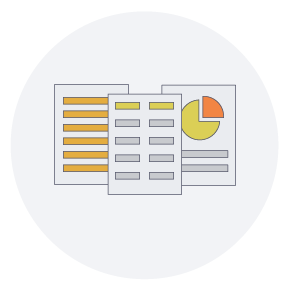 How have you derived your performance figures? We compared four common use cases with the previous version of VNC® Connect, measuring the number of frames per second received over different network environments each time. You're likely to notice the biggest difference the slower your network. Our 'up to' figures at the top are taken from simulating an average US broadband connection, by limiting the available bandwidth to 37 Mbps, adding latency of 33ms and applying 0.3% random packet loss. 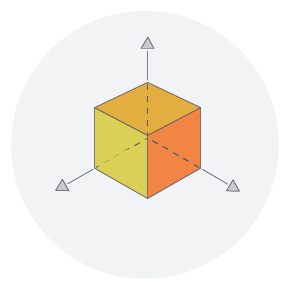 We also benchmarked ourselves against our competitors, and we're confident we compare well! 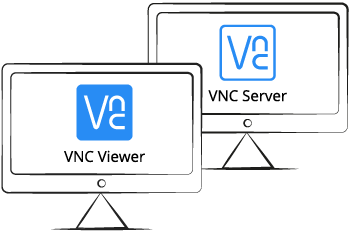 Simply download the latest versions of the VNC Viewer and VNC Server apps to all your local and remote devices, as per below. Once installed, most people won't have to do anything to turn the feature on; you'll get the performance boost automatically. If you have an Enterprise subscription and establish direct connections, make sure you've forwarded port 5900 UDP as well as TCP (or your actual port number if you've changed the default). With a valid Professional or Enterprise subscription, all you need do is download the latest VNC® Connect apps. You'll need to upgrade remote computers you want to control to VNC Server 6.4.0. You'll need to upgrade local devices you want to exercise control from to VNC Viewer 6.19.107, or grab the latest Android app from the Play Store. Support for iOS coming soon. Not using VNC® Connect yet? Take a free 30 day trial and speed past the competition.